Sandara told Boy Abunda that she doesn't want to be dragged into Robi's breakup with Gretchen Ho, though. 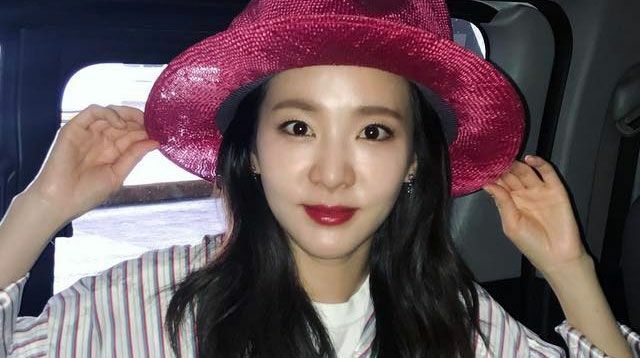 Korean star Sandara Park is back in the Philippines to promote her upcoming romantic film One Step. And while she's doing the promo rounds in her second home ABS-CBN, she was, of course, quizzed about her relationship with newly-single Kapamilya host Robi Domingo. In an interview on Tonight with Boy Abunda, Sandara didn’t want to comment on her friend’s breakup with Gretchen Ho, saying, "Actually hindi ko alam if I should answer this kasi sa totoo lang that's their problem." "Yes, close kami ni Robi. [We’ve been] friends since two to three years ago. I was worried 'nung lumabas 'yang issue na 'yan kasi 'di ba dahil sa issue na 'yan baka masira pa 'yung friendship namin." Sandara, who's happily single right now, was asked what she'd do if Robi took a romantic interest in her, and she revealed that she's always found him ~cute~! "Hindi ko alam ang sasabihin ko sa national TV, pero he's really cute. ‘Nung first time ko pa lang siyang nakikita, sabi ko 'Ay, he's really cute.' And he's [a] really good boy." "Kung single siya and single ako, hindi ko rin alam kung ano ang mangyayari bukas 'di ba? So I don't know what to say now."